Administrative Law Judge (ALJ) Stella L. Owens-Murrell, Office of Administrative Hearings (OAH), State of California, heard this consolidated matter in Bakersfield, California, on August 29, 30, and 31, 2011. Nicole Hodge-Amey, Attorney at Law, represented Student. Student’s mother (Parent) was present throughout the hearing. Student was present for part of the day on August 29 and 31, 2011. Monica Batanero, Attorney at Law, of Schools Legal Service represented the Panama-Buena Vista Union School District (District). Dr. Rita Pierucci, Director of Special Education, was present on behalf of the District throughout the hearing. On April 7, 2011, Student filed a request for due process hearing (complaint) in OAH Case No. 2011040320. On May 17, 2011, the District filed a complaint in OAH Case No. 2011050739. OAH consolidated the matters on May 20, 2011, and, for good cause shown, continued the matter on June 8, 2011. Oral and documentary evidence were received at the hearing. At the close of the hearing, the matter was continued to September 21, 2011 for the submission of closing briefs. On that day, the briefs were filed, the record was closed, and the matter was submitted. 1. Whether the District’s March 2, 2011 psychoeducational and health assessments of Student comply with legal requirements, such that District may deny Student’s request for independent educational evaluations (IEE) at public expense? B. Including District’s attorney at the IEP meetings when Parent did not have an advocate present? 1. Student is a 12 year-old male who lives with Parent within the boundaries of the District. He receives special education and related services because he is eligible as a child with an emotional disturbance (ED) and other health impairment (OHI). 2. From August 2003 to March 2007, prior to his initial enrollment in the District, Student attended general education programs in five different elementary schools for brief periods of time. 3. Beginning March 2007, Student attended Berkshire Elementary School (Berkshire) in the District until the end of the 2008-2009 school year, and completed the fifth grade. During his enrollment in the District, District determined Student eligible for special education services under the disability category of ED, and provided Student with Resource Specialist Program (RSP) services in academic instruction. His last agreed upon IEP was issued on May 26, 2009. 4. Parent moved out of the District at the end of the 2008-2009 school year. Thereafter, Student attended four additional schools: (1) Yorbita Elementary from September 2009 to May 2010; (2) Carl Hankey Middle School from June 15, 2010 to September 21, 2010; (3) Johnson Middle School from October 5, 2010 to October 22, 2010; and (4) Curran Junior High School from November 15, 2010 to November 29, 2010. Except for his attendance at Yorbita Elementary, where he received RSP, Student did not receive special education services. 5. Student moved back into the jurisdictional boundaries of the District on or about December 2010 and submitted a transfer request to the District on December 14, 2010. Student transferred into the District on December 16, 2010. Student was homeless at the time of the transfer. 6. District offered Student a 30-day administrative placement plan that is required when a student transfers into a school district from another school district in the same school year. The administrative placement plan continued to identify Student’s primary disability as ED, placed Student at Tevis Junior High School (Tevis) with RSP in academic instruction, identified the need to conduct Student’s triennial assessment, which was due by March 2011, and scheduled a 30-day review to be held by January 20, 2011. The plan also referred Student for resumption of counseling services through Kern County Mental Health. Mother did not provide an IEP from the last school of attendance; therefore, District based the plan on Student’s May 26, 2009 IEP, which was his last known IEP implemented during his initial enrollment in the District. Mother consented to the 30-day administrative placement plan. 7. On January 4, 2011, District prepared and presented Parent with an assessment plan which identified the suspected disability of ED and proposed to conduct Student’s triennial assessment in health, academic/preacademic achievement, and social adaptive behavior. 8. On January 18, 2011, Parent wrote on the assessment plan that she wanted District to assess Student for the suspected disability of attention deficit hyperactivity disorder (ADHD) and signed the assessment plan. Student was no longer homeless as of the date Parent consented to the assessment plan. 9. A multidisciplinary assessment team conducted the assessments. The team included Leila Page-Goslin, school psychologist, who headed the team; Karen Moeller, special education teacher; Ms. Clarkseon-Bushnell, teacher; and Nancy Gordon, district nurse. Student was 12.2 years of age at the time of the assessment. The objectives of the evaluation were to determine Student’s learning ability, existence of academic delays, and the continued need and eligibility for special education services. In addition, the team tested for specific learning disability (SLD). All assessments were conducted and a written multidisciplinary psychoeducational assessment report (Assessment Report) was prepared by March 2, 2011. 10. The team used the following standardized test instruments: Woodcock-Johnson Test of Achievement-III (W-J III); Behavior Assessment System for Children-2 (BASC-2) Self-Report; BASC-2 Parent Rating Scales; Multidimensional Anxiety Scale for Children (MASC); and Reynolds Adolescent Depression Scale-2 (RADS-2). The assessment also included a Parent Interview; Student Interview; Testing Observations; Classroom Observations; Review of Records; and a Health/Medical Assessment. 11. Nancy Gordon, a highly credentialed registered nurse with District for 18 years, administered the Health/Medical Assessment on February 28, 2011. She has a master’s degree in nursing. In addition, she is an advanced practice nurse and is part of the master’s of science program at California State University at Bakersfield where she has lectured on nursing. Ms. Gordon also has Audiometric Nursing and Public Health credentials. She was assigned to four District schools and provided nursing services at Tevis during the 2010-2011 school year. She conducted between 80-90 health assessments per year during her employment with District. Ms. Gordon completed a records review, parent interview and questionnaire, and a health screening, and was assisted by another District nurse, Lynn Meyers. 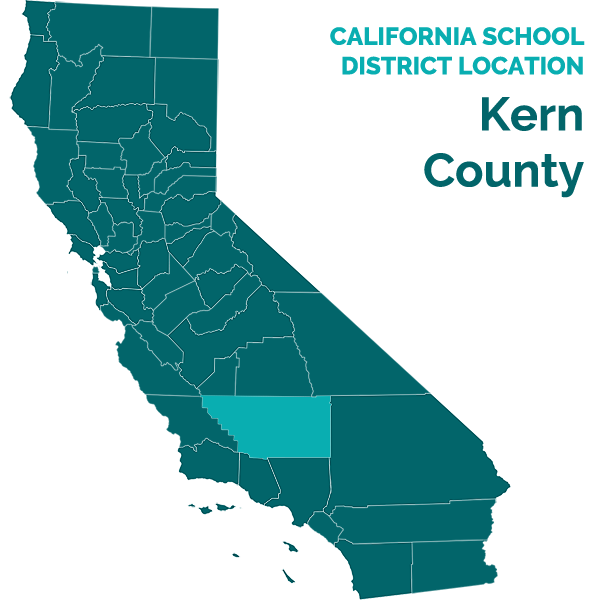 The records review, which included records from Kern County Mental Health (KCMH), indicated Student had a previous diagnosis of oppositional defiance disorder (ODD). On the parent questionnaire, Parent wrote that Student had a medical diagnosis of attention deficit hyperactivity disorder (ADHD) and ED. Parent also indicated that Student was receiving counseling through KCMH, but refused to sign a release of records, which prevented District from obtaining any further information from KCMH. Parent also wrote that Student was taking prescribed medications including Adderall (10 milligrams in the morning and five milligrams at lunch). Parent reported that Student had no vision or hearing problems, and no health concerns that needed to be discussed with the school nurse. The health screening established that Student’s vision was within normal limits. An audiometry test showed Student’s hearing was within normal limits. 12. Ms. Gordon testified that the assessment results showed Student was within normal limits in every area of his health screenings. Also, Student’s medical history was negative for any health issues, which was consistent with Parent’s report that no health concerns existed that required further examination at that time. Ms. Gordon wrote the health assessment report and submitted the report to Ms. Page-Goslin for review and inclusion in the Assessment Report. She also advised that the results of the health assessment were valid, that she used a variety of assessment tools and strategies to gather relevant functional and developmental information, that she selected and administered the tests so as not to be racially, culturally or sexually discriminatory, and that she used the assessment tools used in accordance with test instructions. She also administered the tests in the Student’s primary language, English. 13. Karen Moeller, a District RSP teacher for four years, administered the W-J III. Ms. Moeller, who provided testimony at hearing, was assigned for three years at Tevis. Prior, she taught at Berkshire Elementary as a Title I teacher. She also taught as a reading teacher in another school district prior to her employment with District. She has a bachelor of arts in education and a CLEAR and special education credential. She also has a CLAD certificate which enables her to teach pupils whose first language is English. She had administered more than 1,500 academic assessments and has assessed and taught children with suspected disabilities of SLD, ADHD, OHI, and ED. Student attended her class when he reenrolled in District, and she provided RSP academic instruction. As part of her assessment, Ms. Moeller reviewed Student’s educational records, including District’s February 2008 triennial assessment of Student and the parent questionnaire. 14. Ms. Moeller reported that the results of the W-J III showed that Student’s conversational proficiency was typical for his age. He was attentive to tasks during the examination, responded promptly but carefully to test questions, and noticeably increased his level of effort for difficult tasks. The results of the W-J III showed that Student’s academic skills and his ability to apply those skills scored in the average range when compared to children his age. His standard scores in basic reading skills, reading comprehension, brief reading, mathematical reasoning, brief mathematics, broad written language, written expression, and brief writing were within the average range. But when compared to sameaged peers, his scores in broad mathematics and mathematic calculation skills were in the low range. Ms. Moeller identified mathematics as a continuing area of weakness and need for Student. Ms. Moeller considered and ruled out the presence of a SLD, because, while the assessment results demonstrated that Student was deficient in broad mathematics and mathematical calculation, the results did not show a severe discrepancy between achievement and cognitive ability. Rather, she believed that the results supported a determination of a secondary eligibility of OHI due in part to a medical diagnosis of ADHD. She also believed the primary disability should remain ED. 16. Ms. Moeller submitted the assessment results to Ms. Page-Goslin who incorporated the results in the Assessment Report. Ms. Moeller considered the results of the academic assessment valid, as she used the assessment tools in accordance with test instructions. Also, she was knowledgeable of Student’s academic deficiencies and his needs, and used a variety of assessment tools and strategies to gather relevant functional and developmental information. In addition, the tests and assessment materials were validated for the specific purpose for which they were used, and she selected and administered tests so as not to be racially, culturally or sexually discriminatory. Finally, Ms. Moeller administered the tests in the student’s primary language. 17. Ms. Page-Goslin, who has been a highly credentialed school psychologist for 16 years, has been employed by District for 10 years. Ms. Page-Goslin, who conducted Student’s the psychological assessments, provided testimony at hearing. She has a bachelor’s degree in psychology and a master’s degree in education. She also has a Pupil Personnel Credential in psychology and is a certified Behavior Intervention Case Manager (BICM). She has administered an average of 60 assessments per year over the span of her 16-year career as a school psychologist. 18. Ms. Page-Goslin administered the BASC-2 to Parent, Student, and teacher, and the MASC, and RADS-2 to Student. She conducted a records review, which included a Functional Analysis Assessment (FAA) conducted by Rowland Unified School District when Student attended Yorbita Elementary in the 2009-2010 school year. The FAA determined that Student continued to be eligible for special education services under the category of ED. She also conducted classroom observations, and interviewed his teachers in English Language Arts (ELA), Mathematics, Science, History, and RSP. 19. Ms. Page-Goslin observed Student in the classrooms taught by Ms. Moeller, Ms. Clarkseon-Bushnell, Mr. Kelley, and Mrs. Lippert. Specifically, she observed Student in Ms. Bushnell’s classroom on February 8, 2011 for 37 minutes, in Mr. Kelly’s classroom on February 11, 2011, for 15 minutes, and in Mrs. Lippert’s classroom on February11, 2011 for 44 minutes. She also observed Student in various locations and in Ms. Moeller’s classroom on February15, 2011, for an unspecified period of time. The report noted observations of some cooperative behavior, but overall Student displayed disruptive behavior on a regular basis. This disruptive behavior resulted in several suspensions from school. 20. Ms. Page-Goslin also sought additional consent from Parent to conduct assessments to determine Student’s cognitive levels to glean additional information regarding Student’s coping strategies. Specifically, she wanted to assess Student when presented with difficult materials in structured settings; however, Parent refused permission. Instead, Ms. Page-Goslin examined Student by reviewing the Cognitive Assessment System test administered in District’s February 2008 triennial review. The results of that assessment revealed Student’s aptitude to be well within the average range with a full scale score of 93 at the 32nd percentile. She concluded that the previous assessment, when read with his current overall performance on the W-J III, suggested her assessment of his overall performance was accurate. 21. The BASC-2 is a behavioral assessment designed for use in evaluating children and adolescents with cognitive, emotional, or learning disabilities, and measures behavioral and emotional aspects of a child’s behavior. It has a comprehensive set of rating scales and forms that assess child and adolescent behavior from teacher, parent, and selfperspectives. The scales and forms include the Teacher Rating Scales (TRS), Parent Rating Scales (PRS), and Self-Report of Personality (SRP). Ms. Page-Goslin distributed rating scales to be completed by Ms. Moeller, Student, and Parent. The results are reported as Tscores ranging from 0-100. The results are reported on either a clinical scale or an adaptive scale. On the clinical scales an average T-score falls between 40-60 points and any score above 70 is considered to be clinically significant which may warrant further investigation. On the adaptive scales, any score below 30 is considered to be clinically significant. Ms. Page-Goslin included an F index which gives an indication of whether a child is rated in an inordinately negative manner by the respondent. As reported by the TRS, Student’s scores were in the clinically significant range in the areas of hyperactivity, somatization, learning problems, and school problems. Scores in the average range included anxiety, atypicality and withdrawal. All other areas were in the at-risk range, but the overall F index score was in the acceptable range. The PRS reported Student had high levels of depression. Student’s SRP revealed all areas were in the clinically significant range with the exception of the sensation seeking and adaptive behavior scales. The overall F index score for Student’s SRP was in the caution range, which suggested that Student saw himself in an excessively negative manner. 22. The MASC is a self-report instrument designed to measure and assess a variety of dimensions in children and adolescents aged 8-19 years. It contains 39 items distributed across four basic scales entitled physical symptoms, harm avoidance, social anxiety, and separation/panic. The measure also uses an inconsistency index useful in identifying random or careless responses. The results established that Student’s inconsistency index was in the acceptable range. The results also indicated that, overall, Student reported physical/somatic concerns and difficulty in separating from his family. 23. Due to the inordinately high levels of depression reported by both the SRP and PRS, Ms. Page-Goslin also administered the RADS-2 rating scale to further determine Student’s depression levels. The results of the RADS-2 demonstrated that Student did not suffer from depression. 24. Ms. Page-Goslin summarized the results of all assessments and noted in the report that Student had average intelligence and average academic achievement in all areas, with the exception of mathematical calculation skills. The report noted that Student had managed to maintain a level of academic achievement despite his attendance at numerous different schools over the course of his educational career, which was a testament to his overall learning ability. However, the report noted concern over coexistence of a number of emotional behavioral symptoms: (1) irritability with peers, Parent and school; (2) negative thought patterns regarding his life and his ability to make changes; (3) feelings of being victimized by others; (4) high levels of negative behaviors resulting in four suspensions within the first thirty days of attendance at Tevis; (5) attention-seeking behaviors in the classroom; (6) tendency toward being argumentative; (7) problems sleeping; (8) somatic complaints made to avoid and escape school problems; and (9) overall immaturity and tendency to cry when faced with perceived adversity. 25. The report noted that, with respect to Student’s cognitive skills, utilizing the CAS full scale score obtained in the 2008 cognitive assessment showed there was no evidence Student had a severe discrepancy between ability and achievement. Consequently, the previous assessment ruled out SLD. Student appeared to be achieving at his potential based upon a best estimate of Student’s cognitive skills, an analysis of the test data, and State special education disability criteria. 26. The report noted that Student continued to qualify for special education services as a Student with ED, because he exhibited inappropriate types of behavior and feelings under normal circumstances in several situations, and exhibited a tendency to develop physical symptoms or fears associated with personal or school problems. The report noted that these behaviors had been exhibited over a long period of time, to a marked degree, which adversely affected Student’s educational performance. The report also concluded that while the assessment results seemed to indicate that most of his problems were related to exclusively ED, Student additionally qualified for special education services under the eligibility category of OHI, due to the ADHD clinical diagnosis, poor work production, and classroom performance. 27. The report recommendations included (1) further development of a behavior support plan addressing appropriate classroom behavior; (2) continued RSP academic instruction; (3) improvement of Student’s attendance, as Parent kept him out of school six days, he had been absent an additional five half days, and he had only 15 complete school days since his reenrollment; (4) maintenance of consistency in instruction, which Student needed in order to avoid academic failure, thereby reducing the number of behavioral incidents; and (5) implementation of school-based counseling services until District’s referral for KCMH services was complete. Ms. Page-Goslin issued her Assessment Report on March 2, 2011. 28. Ms. Page-Goslin credibly testified at hearing that in the absence of permission to conduct a cognitive assessment, she reviewed District’s initial cognitive assessment conducted in January and February 2008. She found a scoring error in the prior evaluator’s scores of the Cognitive Ability/Achievement Discrepancy Table and corrected it. The prior evaluator had found, based upon the scores, that Student did not have a severe discrepancy between ability and achievement and did not meet the criteria for services as a child with a SLD. Ms. Page-Goslin did not reference the correction in her Assessment Report, because it neither changed the outcome of the scores or test results, nor did it change her overall conclusions of Student’s cognitive ability. She further testified that the act of rescoring the previous assessment was not material to her evaluation of Student, because the purpose of the assessment was to provide a “snapshot” of Student based upon the information available at the time of the assessment. In addition, the purpose was to identify and provide current information related to Student’s needs in order to enable the IEP team to develop an appropriate program and services for Student. 29. Ms. Page-Goslin testified that she was a credentialed school psychologist trained to administer tests and assessment materials in conformance with the instructions provided by the producer of such tests. Ms. Page-Goslin used a variety of assessment tools and strategies to gather relevant functional and developmental information, and she selected and administered the tests so as not to be racially; culturally or sexually discriminatory. Finally, she administered the tests in Student’s primary language. 30. On January 4, 2011, District gave written notice to Parent to attend an IEP meeting scheduled for January 26, 2011, at 8:00 a.m. at Tevis. The notice listed the names of the individuals anticipated to be in attendance. The notice did not state that an attorney for District would be present. The notice also advised Parent of her right to bring a representative with her or to designate someone to represent her in her absence. A copy of parents’ rights was enclosed for Parent’s review. In addition, the notice stated the purpose of the meeting was to review the 30-day placement and to convene an annual review of Student’s IEP. Parent verbally responded to the notice on January 5, 2011, stating that she would not be attending the meeting, because her advocate, Carol Behrens, was not available to attend. However, Parent signed and returned the notice on January 5, 2010, to District confirming her intention to attend. Parent circled or checked the box on the form acknowledging receipt of reasonable notice, and confirmed receipt of the notice of parent rights and procedural safeguards. 31. The IEP team meeting was convened on January 26, 2011, at 8:00 a.m. The IEP Minutes show that a call was placed to Parent to determine if she was intending to participate in the meeting. Parent arrived at approximately 8:30 a.m. for the meeting. Those in attendance included Parent; Dr. Denita Maughan, who was special education coordinator; Ms. Page-Goslin; Rhonda Dillingham, who was a school counselor; Ms. Moeller Ms. Hartnett, who was a math teacher; and teachers in History, Science and an ELA teacher. The District IEP team members requested, and Parent provided, an update of her concerns about Student, and told the team that Student had difficulty completing his homework assignments due to his diagnosis of ADHD. The IEP team discussed Student’s behavior, academic progress to date, and proposed goals and objectives, as well as an updated behavior support plan (BSP). The IEP team also confirmed that the triennial assessments were in process and agreed that an IEP would be convened following the completion of the assessments. Parent fully participated in the meeting and at no time was District’s attorney present at the meeting. 32. Following the January 26, 2011 IEP team meeting, and before the March 25, 2011 triennial review IEP team meeting, District, Parent, and Parent’s advocates and/or attorney engaged in a series of correspondence and telephonic communications. The purpose of these communications was to schedule, pursuant to Parent’s request, IEP team meetings on specific dates and times in order to accommodate her schedule, as well as her advocate’s and/or attorney’s schedule. 33. On February 11, and 14, 2011, District received written requests from Parent requesting an IEP team meeting and advising that she would be bringing an advocate to the meeting. Parent identified Carol Behrens as her advocate. 34. On February 17, 2011, District’s attorney notified Carol Behrens of its offer to schedule the IEP meeting for March 3, 2011, at 9:00 a.m. to conduct Student’s triennial review. District also requested three alternate dates if Parent could not attend on the proposed date. Parent responded on February 22, 2011, and stated that she accepted District’s proposal and would attend the March 3, 2011 IEP meeting with an advocate. Parent responded again on February 23, 2011, advising District that her advocate would not attend in person, but telephonically. Parent did not request that District schedule the meeting at a specific location. 35. Relying on Parent’s agreement to adhere to the March 3, 2011 IEP date, District sent written notice of the IEP meeting confirming the time, date, and location of the meeting, as well as notice of District’s accommodation of providing a conference telephone to facilitate the advocate’s telephonic participation. However, on February 25, 2011, Parent notified District that her advocate could not attend because of insufficient notice. Thereafter, on February 28, 2011, Parent notified District that the advocate was hospitalized, and that the meeting would need to be cancelled. 36. In a continuing effort to accommodate Parent, District sent Parent a letter to advise her District was agreeable to rescheduling the IEP meeting, but that District had a statutory deadline to hold the triennial review by March 5, 2011. District’s letter then advised that Parent would need to sign a waiver of the statute in order to schedule a meeting past the deadline. On March 3, 2011, Parent’s advocate assured District that Parent would sign the waiver. However, instead of receiving the signed waiver, District received a telephone call from attorney Nicole Hodge-Amey who notified District she represented Student, and advised Parent not to sign a waiver. Student’s attorney insisted that the IEP meeting be held on March 4, 2011, and that she would attend with Parent. Neither Parent nor Student’s attorney made a request for a specific location for the meeting. 37. District agreed to hold the meeting as requested by Student’s attorney on March 4, 2011, and scheduled the meeting for 11:00 a.m. The meeting notice was hand delivered to Parent on March 3, 2011. Parent acknowledged timely receipt of the notice and initialed that she received notice of parental rights. District made last minute changes to make District IEP team members available on March 4, 2011. Student’s attorney later notified District on March 3, 2011, that she would not attend the March 4, 2011, meeting in person, but would appear by telephone if an attorney was present for District. 38. On the morning of March 4, 2011, less than two hours before the IEP meeting, Student’s attorney notified District that not only would she not be appearing by telephone at the IEP meeting scheduled for that day, and she had advised her client not to attend the meeting until she was able to be present. District contacted Parent and asked her if she would be attending the IEP team meeting at 11:00 a.m. Parent responded that her advocate and attorney would represent her at the meeting. Parent did not attend the meeting. Instead, advocate Carol Behrens appeared by speakerphone to represent Student. Ms. Behrens requested a delay in the meeting to submit a written request to reschedule the IEP meeting. During the delay, Student’s attorney contacted Ms. Behrens and informed her that she was not authorized to request a continuance of the meeting. Ms. Behrens then called District and notified them she needed to “bow out” of the meeting. District’s attorney was not present at this meeting. District stopped the meeting because Parent did not attend and determined that it would contact Parent to reschedule for a later date. The withdrawal of Student’s advocate and Mother’s absence from the meeting resulted in a further delay in the completion of Student’s triennial review IEP. 39. Further delays, caused by Parent’s inability to agree with District in scheduling and attending the triennial IEP team meeting, ensued from March 4, to March 24, 2011. On March 6, 2011 and March 7, 2011, District received letters from Parent and Ms. Behrens respectively, requesting an IEP meeting to be scheduled on Fridays only. Parent requested March 11, 2011, at 11:00 a.m. District responded and told Parent that March 11, 2011, was not feasible and offered three alternate dates of March 18, 25, and April 2, 2011 at 8:30 a.m. Parent and Ms. Behrens accepted the date of March 25, 2011, but wanted the meeting at 11:00 a.m. instead of 8:30 a.m. On March 14, 2011, District sent notice to Parent scheduling the IEP meeting for March 25, 2011, at 11:00 a.m. Mother confirmed receipt of notice and acknowledged she received reasonable notice and noted she would attend. On March 22, 2011, District received a notice of representation on behalf of Student from Lighthouse Advocacy. Student’s new representative agreed to attend the IEP team meeting scheduled for March 25, 2011, at 11:00 a.m., and informed Parent of the time and place of the meeting. 40. Parent attended the IEP team meeting convened on March 25, 2011, at 11:00 a.m. accompanied by advocate Donnalee Huffman. The meeting was held at District’s Special Services Center. The District IEP team members included members of the multidisciplinary assessment team, and Kathleen Lemay, counsel for District. Dr. Rita Pierruci, District special education director, also attended the meeting. This was the first meeting District’s attorney attended concerning Student’s program. The triennial assessment results were presented by Ms. Page-Goslin, Ms. Gordon, and Ms. Moeller. Ms. Page-Goslin discussed the overall assessment results and the concerns regarding Student’s impulsive behaviors. Ms. Goslin also reported that based upon the assessment, Student did not meet the special education eligibility for SLD, but met eligibility criteria for OHI, due in part to Student’s ADHD diagnosis. Also, that Student continued to meet eligibility criteria for ED. Mother and Ms. Huffman participated fully in the discussions of the assessment results and District’s proposed program. They discussed his deficits and needs and need for an effective program and services. In addition, educational advocate Lakeisha Harris, who had been working on a transitional program for Student, participated in the meeting and presented a plan for Student’s vocational development. However, Parent had not informed Ms. Huffman of Ms. Harris’ involvement. During the meeting Ms. Huffman informed the IEP team that she was not aware of Ms. Harris and her role in Student’s program and she was not prepared to fully discuss the proposed IEP, so she requested a continuance of the IEP meeting. Consequently, the meeting was continued to April 8, 2011, at 2:00 p.m. Ms. Huffman subsequently requested the meeting time be changed to 11:00 a.m.; however, District could not change the meeting time because of a prescheduled meeting set to be held at the Special Services Center. Neither Parent nor Ms. Huffman requested a change in location for the meeting. 41. Ms. Huffman was later hospitalized and was unable to make the April 8, 2011 meeting. Parent advised District that she would not attend the meeting because she objected to the meeting time. District did not go forward with the IEP meeting. 42. On April 11, 2011, District gave written notice to Parent and Ms. Huffman that the IEP meeting was rescheduled to April 29, 2011, at 1:00 p.m. at Tevis. Prior to the April 29, 2011 IEP meeting, Ms. Huffman withdrew from representing Student when she discovered that Student had an attorney who had filed a due process complaint on Student’s behalf on April 7, 2011. 43. District convened the continuation IEP team meeting on April 29, 2011, at 1:00 p.m. at Tevis to conclude Student’s triennial review. Parent attended. Student also attended the meeting, but arrived later. District’s attorney attended the meeting, but left when she learned Parent’s advocate had withdrawn her representation. The IEP team members, which included Dr. Pierruci, Dr. Denita Maughan, Ms. Page-Goslin, Ms. Moeller, Nancy Gordon, a counselor, and several teachers, completed the review and presentation of the psychological assessment report. The team considered the assessment and recommendations, and then offered Student a program, including a BSP and services. Mother disagreed with the assessment results; specifically those showing Student remained eligible for ED, and objected to the recommendations. Parent then requested independent educational evaluations (IEEs) in health, academic functioning, psychological functioning, and behavior. 44. Parent testified concerning her claims against District. Parent was a poor historian in her testimony as to several material facts. She was homeless when she enrolled Student in the District in December 2010. However, she leased an apartment and was no longer homeless as of January 2011. She testified that District did not cooperate in scheduling IEP team meetings at a mutually convenient time and location. She received all of District’s mailed notices at her official address and she did sign each IEP meeting notice, checked the box which stated “I have received reasonable notice and plan to attend the meeting,” and returned the responses to District. She stated that she may or may not have initialed the line which indicated that she had received notice of Parent’s Educational Rights and Procedural Safeguards with each meeting notice. She stated that she requested that IEP meetings be scheduled earlier in the day because she was the sole custodian of her son and she needed to pick him up each day from school at 3:20 p.m. She could not recall if she ever told District she objected to meeting locations and if she requested a location change for the meetings. She did not agree with the scheduling of the March 25, 2011 IEP team meeting. She also stated that she did not agree with the scheduling of the April 29, 2011 IEP team meeting because of her need to pick her son up from school at 3:20 p.m. She did not believe District cooperated with her because they scheduled only one meeting at Tevis early in the day, and all the others were scheduled at the Special Services Center in the afternoon, which was inconvenient for her. 45. Parent was not credible concerning her claims for a number of reasons. First, Parent acknowledged on the IEP notice forms that she received reasonable notice for the January 26, 2011, March 3, and 4, 2011, March 25, 2011, and April 29, 2011 IEP team meetings. Also, Parent initially testified that District’s attorney attended the January 26, 2011 IEP meeting, when she did not have an advocate present. However, Parent subsequently gave contradictory testimony that District’s attorney was not present at that meeting. 46. Ms. Huffman credibly testified that she regularly appeared at the District as an advocate for various cases and clients. She attended the March 25, 2011 IEP team meeting, which was held at District’s Special Services Center, because of an accommodation she had personally requested, which the District granted. She informed Parent of the reasons for the meeting location, and did so prior to the March 25, 2011 IEP meeting. She further testified that she and Parent participated in the discussions at the meeting and those discussions prompted her to request a continuance in order for her to obtain further information about a matter brought to her attention by Parent for the first time in the meeting. 47. Ms. Moeller credibly testified that she was responsible for scheduling Student’s IEP meetings. She contacted Parent concerning the scheduling of the January 26, 2011 meeting and scheduled the meeting for that date and time after Parent indicated that the date and time was convenient for her. 48. Dr. Maughan, who was District’s special education coordinator during the relevant period and up to the end of the 2010-2011 school year, credibly testified about District’s continuing efforts to communicate with Parent, her advocate, and attorney. Specifically, District communicated by letter and telephone to timely notify Parent of the date, time, and location of the IEP team meetings scheduled from January 26, 2011, to April 29, 2011. She also testified that at no time did Parent object to the meeting locations or request a change in location. As an example of District’s efforts to accommodate Parent, the March 3, 2011 meeting, which occurred on March 4, 2011, was scheduled at the Special Services Center because of Parent’s request for her advocate to appear by telephone. The Special Services Center was equipped with telephone conference equipment, as well as greater room capacity to accommodate all of the team. Mother failed to attend that meeting and had advocate Carol Behrens appear by conference telephone. Dr. Maughan stated that had Parent requested a meeting at Tevis, District would have accommodated her request. The March 25, 2011 meeting was scheduled at the Special Services Center to accommodate Mother’s advocate. 49. Dr. Maughan also testified that the April 29, 2011 IEP meeting was scheduled at Tevis to accommodate Parent’s concerns about her need to retrieve her son at the end of the school day. District additionally offered to supervise Student when he was released from school if the IEP meeting was still in progress, but Parent chose to have Student attend the IEP team meeting. Dr. Maughan attended all of Student’s IEP team meetings and confirmed that District’s attorney was not present at the January 26, 2011 IEP meeting. 50. Dr. Pierruci testified credibly that she attended all of Student’s IEP team meetings with the exception of the January 26, 2011 IEP. She explained that District’s policy was to work with all parents in the scheduling of IEP meetings and District did so in this case. She could not recall that mother ever requested a location change for any of the scheduled IEP meetings, but she did recall that mother asked for a schedule change once in connection with the April 29, 2011 IEP meeting. She explained that the meeting was scheduled for 2 p.m. that day and could not be scheduled earlier because of a prescheduled training at the Special Services Center that could not be changed. She also explained that District offered to care for her son in the event the IEP meeting proceeded past the end of his school schedule. With respect to District’s attorney participating in the IEP meeting, Dr. Pierucci confirmed that the attorney attended only the March 25, 2011 meeting for purposes of advising District team members because Student had advocates present in person and by telephone. 2. District contends that the psychoeducational and health assessment, met all of the legal requirements and was appropriate. Consequently, District asserts that Student is not entitled to an IEE at District’s expense. 3. Student contends that the assessment was fatally flawed in several areas to the extent that the assessment results and conclusions reached were invalid. First, Student asserts that the school psychologist inappropriately relied on a prior cognitive assessment that was incorrectly rated and she surreptitiously made adjustments to the scale and failed to disclose it in her report. Second, Student criticized the administration and the results of the BASC-2, which was administered to determine if Student continued to be eligible for special education services as a child with ED. In particular, Student contends that the school psychologist failed to obtain more than one teacher rating scale. Next, Student contends that District failed to obtain and review all of Student’s records from the Rowland School District where he attended school for most of the 2009-2010 school year. Student also contends that evaluators should have determined Student was eligible under the disability category of SLD and not ED. Finally, Student contends that the evaluators failed to consider environmental or other economic factors that might have explained Student’s behavior to rule out a determination of continued eligibility under the disability category of ED. Student asserts that he is entitled to a District funded IEE in all of the areas of suspected disability. 7. An IEP meeting to review the results of the assessment must be held within 60 days, with certain exceptions for vacation days and other circumstances, from the receipt of the parent’s written consent to the assessment. Parent may agree, in writing, to an extension of the 60-day period. (Ed. Code, §§ 56043, subd. (f)(1), 56344, subd. (a).) The IEP team determines from the assessments whether the child is eligible for special education. (Ed. Code, § 56329, subd.(a)(1). 13. Pursuant to California Code of Regulations, title 5, section 3030, subdivision (f), a pupil meets the eligibility criteria for the category of other health impairments if he or she has limited strength, vitality or alertness, due to chronic or acute health problems, including but not limited to a heart condition, cancer, leukemia, rheumatic fever, chronic kidney disease, cystic fibrosis, severe asthma, epilepsy, lead poisoning, diabetes, tuberculosis and other communicable infectious diseases, and hematological disorders such as sickle cell anemia and hemophilia which is not temporary in nature, and which adversely affects a pupil’s educational performance. 15. Here, as established by the credible testimony of Ms. Gordon, Ms. Moeller, and Ms. Page-Goslin, District’s multidisciplinary psychoeducational and health assessment complied with the requirements under the IDEA and the Education Code and was appropriate. 16. First, District met its burden of showing the health assessment was appropriate. Ms. Gordon was a registered nurse with 18 years of experience as a Nurse for the District, with a master’s degree in nursing and audiometric and public health credentials. She had administered 80-90 health assessments per year. She used a variety of health assessment tools including a records review, Parent input, medical records, health screening, and testing. The assessment results showed Student was within normal limits in every area of his health screenings. Also, Student’s medical history was negative for any health issues, which was consistent with Parent’s report that no health concerns existed that required further examination at that time. She also advised that the results of the health assessment were valid, that she used a variety of assessment tools and strategies to gather relevant functional and developmental information, that she selected and administered the tests so as not to be racially, culturally or sexually discriminatory, and that she used the assessment tools used in accordance with test instructions. She also administered the tests in the student’s primary language, English. 17. Second, District also established that the academic assessment in the psychoeducational assessment was properly conducted. Ms, Moeller had a bachelor’s degree in education and special education credentials. She had at least five years of experience as a special education teacher in RSP. She had conducted 150 academic achievement assessments and was employed by District as an RSP teacher for three years. She was also familiar with Student, as she was his teacher. She assessed and taught children with the suspected disabilities of SLD, ADHD, OHI and ED. She conducted a record review that included District’s February 2008 triennial assessment of Student, reviewed Parent questionnaires and administered the W-J III to Student. The results of the W-J III showed that Student’s academic skills and his ability to apply those skills scored in the average range when compared to children his age. Ms. Moeller identified mathematics as a continuing area of weakness and need for Student. Ms. Moeller considered and ruled out the presence of a SLD, because, while the assessment results demonstrated that Student was deficient in broad mathematics and mathematical calculation, the results did not show a severe discrepancy between achievement and cognitive ability. Rather, she believed that the results supported a determination of a secondary eligibility of OHI due in part to a medical diagnosis of ADHD. She also believed the primary disability should remain ED. In support of her conclusions that Student still qualified for services under the disability category of ED, Ms. Moeller testified that Student displayed severe and defiant behavior problems in her class, which was consistent with his previous history of behavior problems. Ms. Moeller considered the results of the academic assessment valid, as she used the assessment tools in accordance with test instructions. Also, she was knowledgeable of Student’s academic deficiencies and his needs, and used a variety of assessment tools and strategies to gather relevant functional and developmental information. In addition, the tests and assessment materials were validated for the specific purpose for which they were used, and she selected and administered tests so as not to be racially, culturally or sexually discriminatory. Finally, Ms. Moeller administered the tests in the student’s primary language. 18. Third, District also met its burden of showing that the assessment of Student’s psychological functioning and behavior was properly conducted. Ms. Page-Goslin was a highly credentialed school psychologist for 16 years, and had been employed by District for 10 years. Ms. Page-Goslin, who conducted Student’s the psychological assessments, had a bachelor’s degree in psychology and a master’s degree in education. She also had a Pupil Personnel Credential in psychology and is a certified Behavior Intervention Case Manager (BICM). She had administered an average of 60 assessments per year over the span of her 16-year career as a school psychologist. She observed Student in various classroom settings, reviewed Student’s educational records, and administered the BASC-2, MASC, and RAD-2 to Student. 19. With respect to the administration of the BASC-2, while Ms. Page-Goslin administered the BASC-2 TRS to Ms. Moeller only, she included an F index score and the overall F index score was in the acceptable range. She also conducted a records review, including prior behavior assessments, and conducted teacher observations. The evidence established that the use of the combined assessment instruments addressed Student’s unique behavior needs and the assessment was appropriate. As to the cognitive assessment Ms. Page-Goslin testified that in the absence of permission to conduct a cognitive assessment, she reviewed District’s initial cognitive assessment conducted in January and February 2008. She found a scoring error in the prior evaluator’s scores of the Cognitive Ability/Achievement Discrepancy Table and corrected it. The prior evaluator had found, based upon the scores, that Student did not have a severe discrepancy between ability and achievement and did not meet the criteria for services as a child with a SLD. Ms. Page-Goslin did not reference the correction in her Assessment Report, because it neither changed the outcome of the scores or test results, nor did it change her overall conclusions of Student’s cognitive ability. Ms. Page-Goslin testified that based upon the assessment results Student continued to be eligible for special education services under the disability category of ED and additionally qualified for services under OHI due in part to the medical diagnosis of ADHD. Her testimony concerning the absence of SLD eligibility was consistent with that of Ms. Moeller. The evidence established that she was qualified to administer the tests and assessment materials. Ms. Page-Goslin used a variety of assessment tools and strategies to gather relevant functional and developmental information, and she selected and administered the tests so as not to be racially, culturally or sexually discriminatory. She administered the tests in Student’s primary language. 20. Student’s criticisms that the multidisciplinary assessment is fatally flawed and invalid are without merit. Specifically, Student’s criticism that the school psychologist inappropriately relied on the February 2008 cognitive assessment, which was scored incorrectly by the prior evaluator, yet not mentioned in the assessment report, is not persuasive. Student presented no evidence that Ms. Page-Goslin’s review of the February 2008 Cognitive Assessment was inappropriate. The evidence shows, through the credible testimony of Ms. Page-Goslin that she only used the report as a point of comparison to her own assessment of Student to confirm the overall accuracy of her assessment. Because Parent refused to consent to Ms. Page-Goslin performing additional tests to assess Student, it was reasonable and appropriate for Ms. Page-Goslin to refer to the February 2008 assessment for any supplemental information that would help develop a more comprehensive evaluation of Student. Based upon the information Ms. Page-Goslin had at the time of the assessment, she properly concluded that the previous assessment when read with his current overall performance on the W-J III suggested this was an accurate assessment of his overall performance. 21. Student’s criticism of the administration and results of the BASC-2 is equally unpersuasive. Although Student asserts that the failure to obtain more than one teacher rating scale was a fatal error that invalidated the assessment results, the law does not support this position. Student relies upon a prior ruling in the matter of Rialto Unified School District v. Student, OAH Case No. N 2006080715. In Rialto , the ALJ ruled that District’s assessment was not appropriate because of numerous errors which rendered the assessment results invalid. Among those errors was the district’s failure to include more than one teacher rating scale. The ALJ found that the author’s instructions to the BASC-2 encouraged examiners to obtain TRS ratings from two or more teachers in order to learn whether a child’s behaviors can be generalized across settings when comparing behaviors at home and school. The ALJ found that it was particularly important in the Rialto case to have obtained more than one TRS because the teacher’s F-Score was in the extremely negative range and threatened the validity of the BASC-2. The Rialto case does not support Student’s contention in the present matter, and the case is inapposite. In the instant case, the TRS was provided by Ms. Moeller, Student’s RSP teacher. The results of the TRS yielded an F-Score that fell within the acceptable range, indicating the absence of extremely negative views toward Student. The assessment tools also included classroom observations in four different classrooms and teacher interviews. 22. To the extent Student contends the assessments were flawed because the records from his prior school were not considered, his contention fails. The evidence shows that District requested Parent provide Student’s records from his prior placement at Yorbita Elementary but did not receive all of the records until on or about March 3, 2011, after the Psychoeducational Assessment was completed. However, due to the numerous delays to the IEP process that resulted from District accommodating the schedule of Student’s parent, advocates, and attorney, the information was obtained prior to the IEP team meetings. Further, the records District did possess from Student’s prior enrollment and an FAA from Yorbita Elementary provided the District with sufficient information to know that Student’s suspected areas of disability related to ED, SLD and OHI. 23. Student also argues that the assessments were flawed because Student should have been found eligible under the category of SLD, not ED. Student’s contention that the assessments were improper because he was found eligible under ED is meritless because the determination of a child’s eligibility is made by the IEP team and is not left solely to the assessors. (Ed. Code, § 56329, subd. (a)(1).) Even so, Ms. Moeller and Ms. Page-Goslin credibly testified that although Student had weaknesses in the area of mathematical calculation and broad mathematics, the properly conducted assessments showed that no severe discrepancy existed between Student’s achievement and his cognitive ability for purposes of SLD eligibility. Rather, the evidence showed that the assessors properly focused on ED and OHI because Student’s inability to access his education was related more to his behavior. 24. Student further contends the assessments were flawed because of District’s failure to consider environmental or cultural factors to rule out ED. Student asserts that his problems in the educational setting were attributed to his history of homelessness; however, this position is not supported by the evidence. Parent testified that she and Student were homeless when Student transferred into District on December 2010. However, he was not homeless at the time Parent consented to the assessment plan in January 2011, or at the time of the assessments. More importantly, there was no evidence that Student was homeless during his prior enrollment in the District, or while attending school in his prior district. Ms. Page-Goslin persuasively testified that even if Student was homeless at the time of the assessment, she would have reached the same eligibility recommendations in light of the assessment results and Student’s history of inappropriate behaviors existing to a marked degree over a period of time from District’s initial ED determination in 2008 to his evaluation at Yorbita Elementary in the Rowland School District, and continuing through his recent behavior upon re-enrollment in the District. 26. Student contends that District failed to cooperate with Parent in scheduling IEP team meetings at mutually agreeable and convenient times and locations. Student further contends that District included District’s attorney at the IEP team meetings of January 26, 2011, and March 25, 2011, when Parent could not have an advocate present. Student asserts that District’s failure deprived Parent of meaningful participation in the IEP decisionmaking process, which amounted to a procedural violation and denial of FAPE. District contends that District staff fully cooperated with Parent in scheduling IEP team meetings. District further contends that Parent never requested a specific location for the IEP meetings, and that District fully cooperated in accommodating Parent and her representatives. District further contends that the facts show that District did not have an attorney attend the January 26, 2011 IEP meeting, and even so, the IDEA does not prohibit District from having its attorney present at IEP meetings. (3) Detailed records of visits made to the parents’ home or place of employment and the results of those visits. 35. When parental non-cooperation obstructs the IEP process, courts usually hold that procedural violations in that process do not deny the student a FAPE. In C.G. v. Five Town Community School Dist. (1st Cir. 2008) 513 F.3d 279, for example, the Court of Appeals held that an IEP was incomplete only because of parents’ obstruction of the IEP process, and if parents had cooperated, the IEP would have been adequate. The procedural error was held harmless. 36. Based upon the evidence, Parent was not deprived of meaningful participation in the IEP team meetings of January 26, 2011, March 25, 2011, and April 29, 2011, because they were not properly scheduled. Dr. Maughan and Ms. Moeller credibly testified about District’s numerous notices to Parent to attend IEP meetings, which Parent confirmed in writing. The evidence shows that District met all of the requirements under the law in the scheduling of each IEP team meeting during the relevant period in this case. District gave timely notice of each meeting, identifying the time and place of the meetings. Despite Parent’s contention that District intentionally scheduled the meetings at her inconvenience, the evidence overwhelmingly showed otherwise. Parent admitted timely receiving each IEP meeting notice at her address of record, she gave written acknowledgement that she received reasonable notice of the meetings, and she did not recall ever requesting a specific meeting location. Parent’s advocate credibly testified that she requested a special accommodation from District which required that IEP meetings be scheduled at District’s Special Services Center, and that she informed Parent of the arrangement. 37. The evidence establishes that Parent and her attorney tended to be uncooperative in scheduling the IEP meetings. There were several instances where Parent confirmed her attendance and then notified District she would not attend. The circumstances surrounding the scheduling of the March 3, 2011 IEP meeting is an example of her noncooperation. Specifically, the evidence shows that after District received Parent’s written requests on February 11, and 14, 2011 for an IEP meeting, as well as her representation that she would be bringing Carol Behrens as her advocate, District’s attorney notified Ms. Behrens on February 17, 2011, of its offer to schedule the IEP meeting for March 3, 2011, at 9:00 a.m. to conduct Student’s triennial review. District also provided three alternate dates if Parent could not attend on March 3, 2011. Even though Parent responded on February 22, 2011, advising she would attend the March 3, 2011 IEP meeting with her advocate, Parent notified District three days later that her advocate could not attend because of insufficient notice. Three days after that, Parent cancelled the meeting due to the reported hospitalization of her advocate. Despite District’s continuing efforts to accommodate Parent, Parent ultimately refused to sign a waiver of the March 5, 2011 statutory deadline to hold Student’s triennial review, and then Student’s attorney insisted on meeting on March 4, 2011. Yet, on the day of the meeting, Student’s attorney advised District that neither she nor Parent would be attending the meeting, leaving Ms. Behrens to attend the meeting by speakerphone. However, at the time of the meeting, Ms. Behrens initially requested a delay in the meeting to submit a written request to reschedule the IEP meeting, and then advised that she would not be acting as Parent’s advocate. These actions resulted in the further delay of Student’s triennial review. 38. In addition, Parent engaged in more delaying tactics between March 4, 2011, to March 24, 2011. On March 6, 2011, and March 7, 2011, District received letters from Parent and Ms. Behrens respectively, requesting an IEP meeting on be scheduled on Fridays only. Parent requested March 11, 2011, at 11:00 a.m. District responded and told Parent that March 11, 2011, was not feasible and offered three alternate dates of March 18, 25, and April 2, 2011, at 8:30 a.m. Parent and Ms. Behrens accepted the date of March 25, 2011, but wanted the meeting at 11:00 a.m. instead of 8:30 a.m. On March 14, 2011, District gave notice to Parent scheduling the IEP meeting for March 25, 2011, at 11:00 a.m. Mother confirmed receipt of notice and acknowledged she received reasonable notice and noted she would attend. On March 22, 2011, District received a notice of representation on behalf of Student from Lighthouse Advocacy. Student’s new representative agreed to attend the IEP team meeting scheduled for March 25, 2011, at 11:00 a.m., and informed Parent of the time and place of the meeting. Parent attended this meeting with advocate Huffman but the meeting was continued when Ms. Huffman learned for the first time of additional issues concerning Student’s program. Following the above delays, which were attributable to Parent, the last IEP meeting to complete the triennial review was scheduled for April 29, 2011. 39. In sum, District made every effort to accommodate Parent’s IEP scheduling needs, and Student has failed to show a procedural violation of IDEA on this ground. Based upon the credible testimony of Parent’s advocate Huffman, Dr. Maughan, and Ms. Moeller, the evidence showed that the March 25, 2011 IEP team meeting date was arrived at for Parent’s convenience, and Parent and her advocate attended and fully provided input as team members. The same occurred at the April 29, 2011 IEP meeting, which was scheduled to try to accommodate for Parent’s advocate being unable to make the initial date due to illness. Ultimately, Parent attended alone because her advocate had withdrawn from representation, an event outside the District’s control, which the evidence showed was related to Parent seeking representation from both special education advocates and attorneys. Parent ultimately attended the IEP and provided input of her concern about Student’s behaviors and his progress. The IDEA assumes parents, as well as districts, will cooperate in the IEP process. Here, Parent’s inability to adhere to a mutually agreed upon meeting schedule, changing her representation on at least three occasions, and failing to disclose that she had filed a due process complaint while retaining and going forward with a new advocate, resulted in the delay of completing Student’s triennial review and the offer of a program and services to Student. 1. District’s multidisciplinary psychoeducational and health assessment, which resulted in a report dated March 2, 2011, was appropriate, such that District need not fund an IEE at public expense in the areas assessed. 2. All of Student’s requests for relief are denied.